Serve On volunteers successfully completed another @ToughMudder course. Serve On volunteers have been out and about doing fund-raising to help pay for the amazing work our charity does. 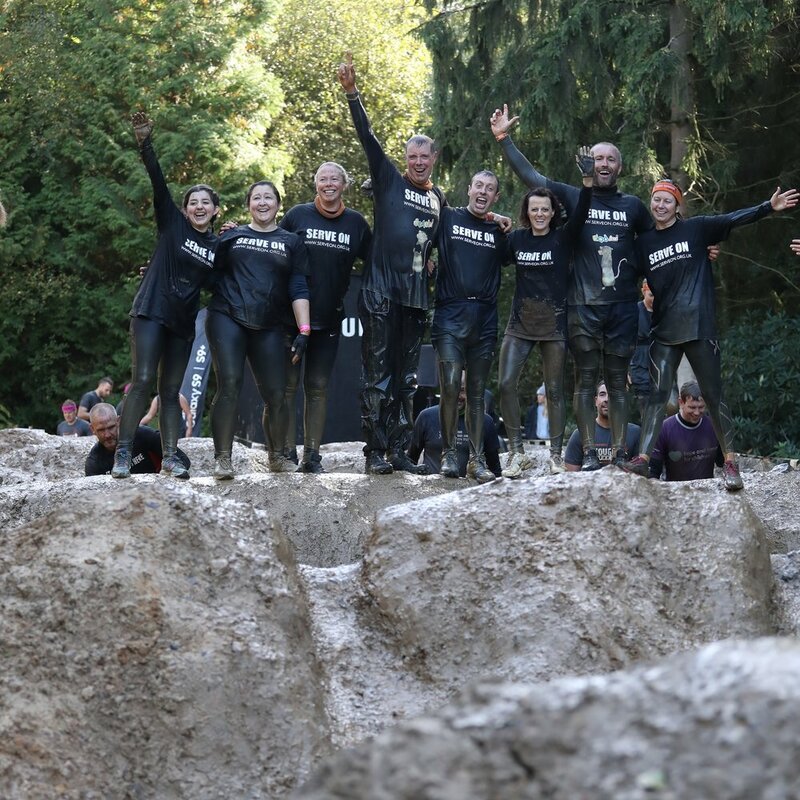 They say that where there’s muck there’s brass, which is why some of our intrepid members keep going in for the Tough Mudder events to raise much-needed cash. The latest event was another spectacular success. 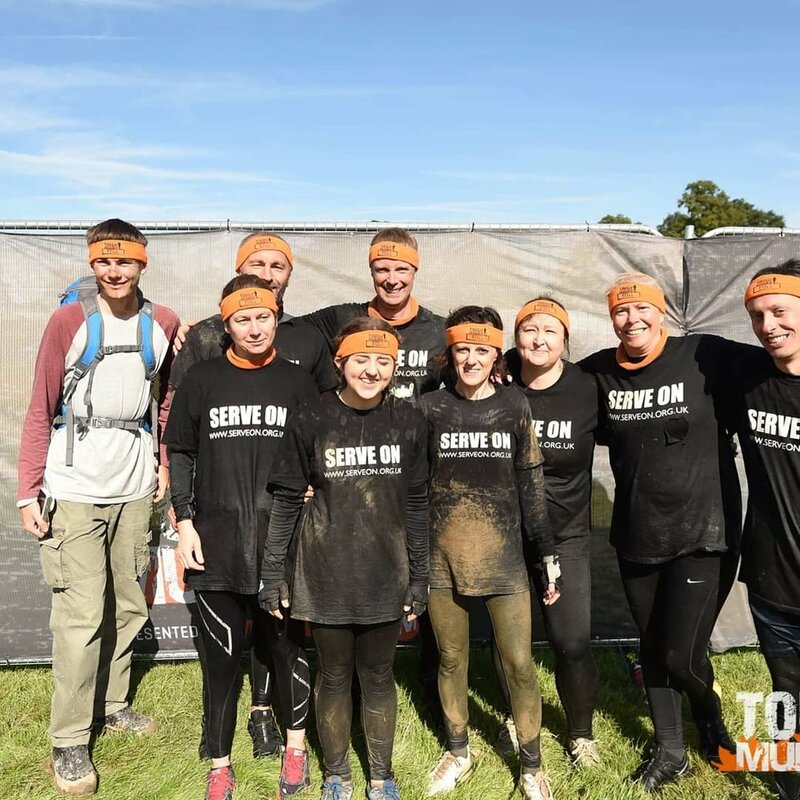 The Tough Mudder team raised more than £2,000 through tackling the exhausting obstacles which blocked their way around the 10-mile course. Serve On volunteers after completing the @ToughMudder course. Rescue Rookie Jazz did her best to sabotage her own attempt by turning her ankle even before the start, and still managed to complete the course. It was an incredible effort by the whole team. 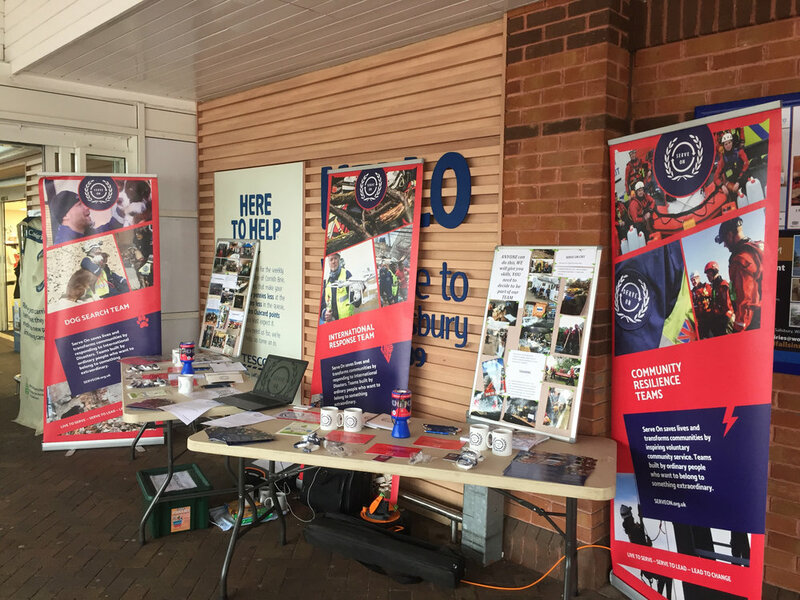 More volunteers (and some of the same ones) were outside the Tesco Extra superstore on Southampton Road, all day, less than a week later, to tell Salisbury shoppers about the work of Serve On and to raise funds for us to be able to do it. ‘Here to Help’ said the slogan outside the supermarket door, which tied in very well with our own message. The Serve On stand outside the @Tesco store, on Southampton Road, Salisbury. 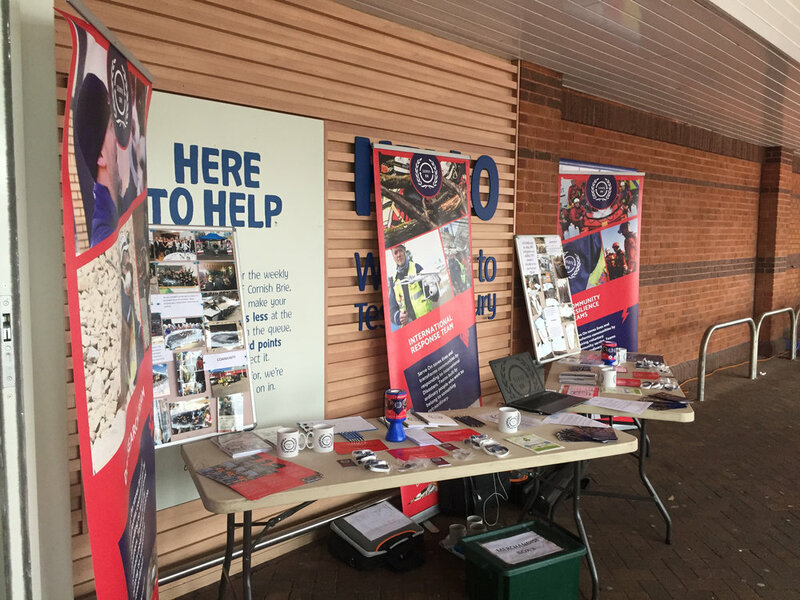 We were enormously grateful to the amazing Gilbert and to his Tesco staff colleagues for inviting us to put up our tent and to tell people about what we do, and we were equally grateful to the Tesco shoppers of Salisbury who were incredibly generous. 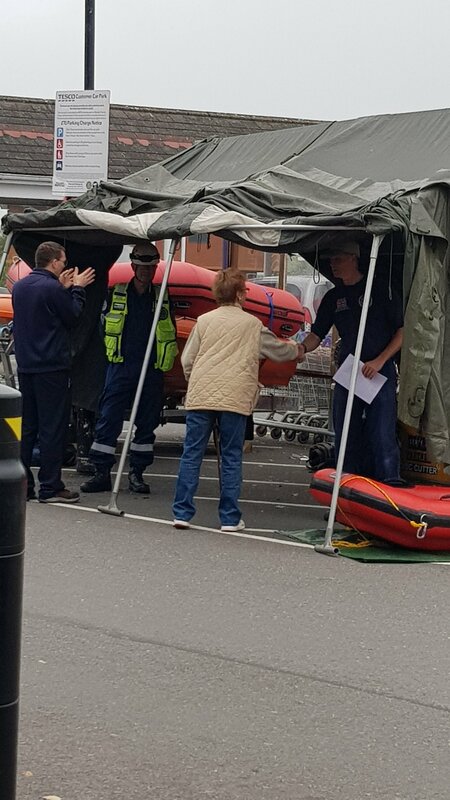 We may even have attracted a few more volunteers to join our brilliant Community Resilience Team. You too can volunteer or you can donate to help Serve On be there for people in our community, or other communities, when they are in need.